The choice is yours when it comes to healthcare. Be sure to verify the participating provider networks applicable to your health plan and coverage by referring to your member ID card or checking with your health plan administrator. Whether you are at home in Hawaii or on the Mainland, choosing a participating provider or facility will maximize your coverage and reduce your out-of-pocket expense. We are pleased to offer thousands of participating providers; search below to locate one near you. Please confirm the services available when making your appointment. View further information about our network. Choose from thousands of physicians and facilities throughout the State of Hawaii for medical and dental services. For assistance, call our Customer Service Center at (808) 941-4622 or toll-free at (888) 941-4622. Visit a physician or facility for certain services on the Mainland through Cigna PPO. When searching online, select “For plans offered through work or school,” and enter your criteria. Excludes dental services. 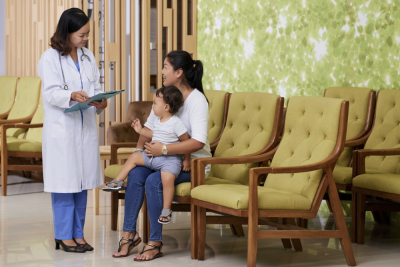 See a physician for certain services on the Mainland through the PHCS Healthy Directions and MultiPlan Complementary Networks. Excludes alternative care and dental services. For assistance, call PHCS at (888) 721-7427. See a doctor online or by phone for most healthcare services within 30 minutes, or schedule an appointment for a later time. For assistance, call HiDoc® at (844) 423-6242. Visit a participating pharmacy throughout Hawaii and the Mainland, or choose mail order prescription benefits. For assistance, call OptumRx at (800) 880-1188. See a VSP doctor or retail chain affiliate provider for vision care or eyewear throughout Hawaii and the Mainland. For assistance, call VSP at (800) 877-7195. Because we do not contract with non-participating providers, your out-of-pocket expense will be substantially higher. Because we do not contract with providers outside the United States, you will be responsible for paying the entire billed amount up front. If you know a provider who is not in our network and may be interested in participating, please send us a request. To expedite the nomination process, you may also ask the provider to contact us. Note: We cannot approach or contract with all nominated providers. This may include providers unable to meet our participation criteria, conflicts with exclusivity provisions in another agreement, or those without admitting privileges to a contracted hospital.